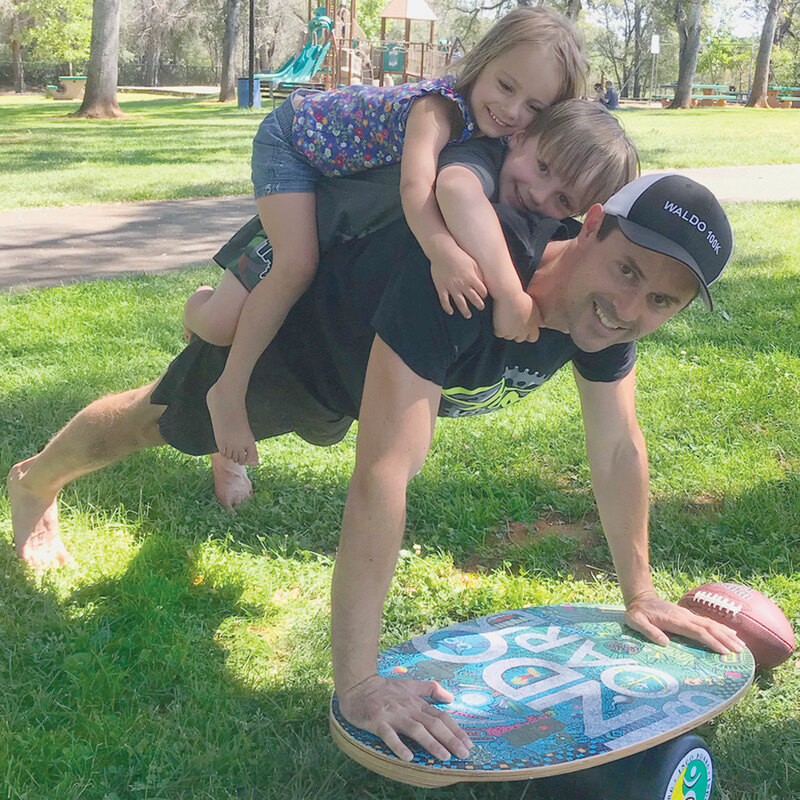 The Mini Kicktail was designed for skateboarders who want to do BIG tricks, first and foremost, but I bet you didn’t know the Mini Kicktail can also be used to help you get a great functional movement workout! Recently, Bob Guenther and Kim White learned first hand what you can do with the Mini Kicktail. The small size of the deck allows for some very interesting and challenging options when doing planks, pushups, split squats and so much more. 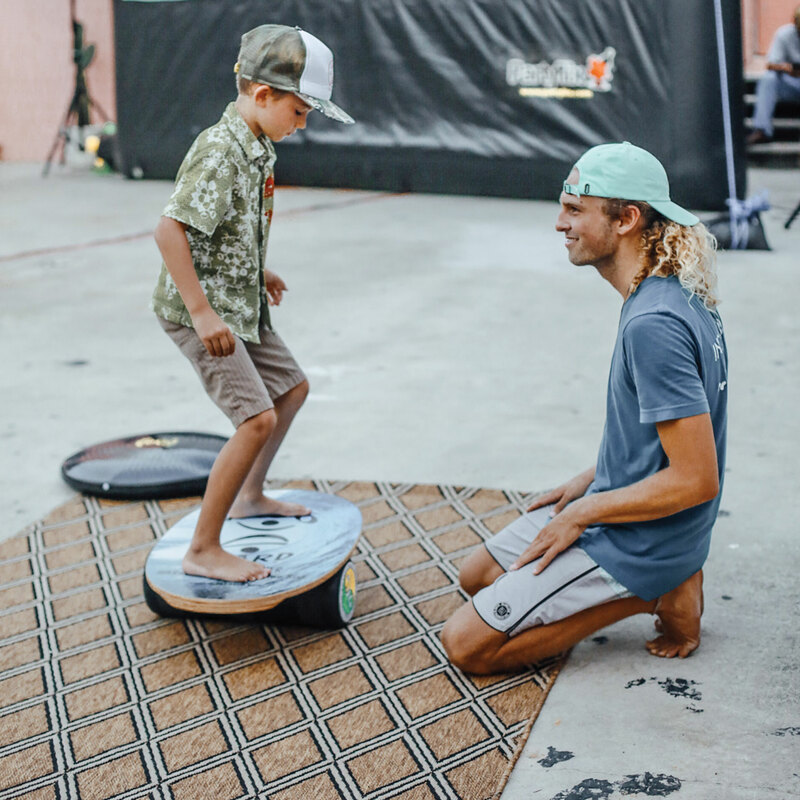 Indo Board Man, Hunter Joslin demonstrates exercises on the Mini Kicktail. Remember Life is About Balance! The 12 Days of Indo Board – Day 9! The Mini Kicktail is shaped like a skateboard and comes with a smaller roller (5 inch Diameter). This is the perfect board for any skateboard enthusiast! You can watch this video of Indo Board Man explaining the Mini Kicktail. You Tuber Mills2450 shows his skills on the Mink Kicktail in this video. 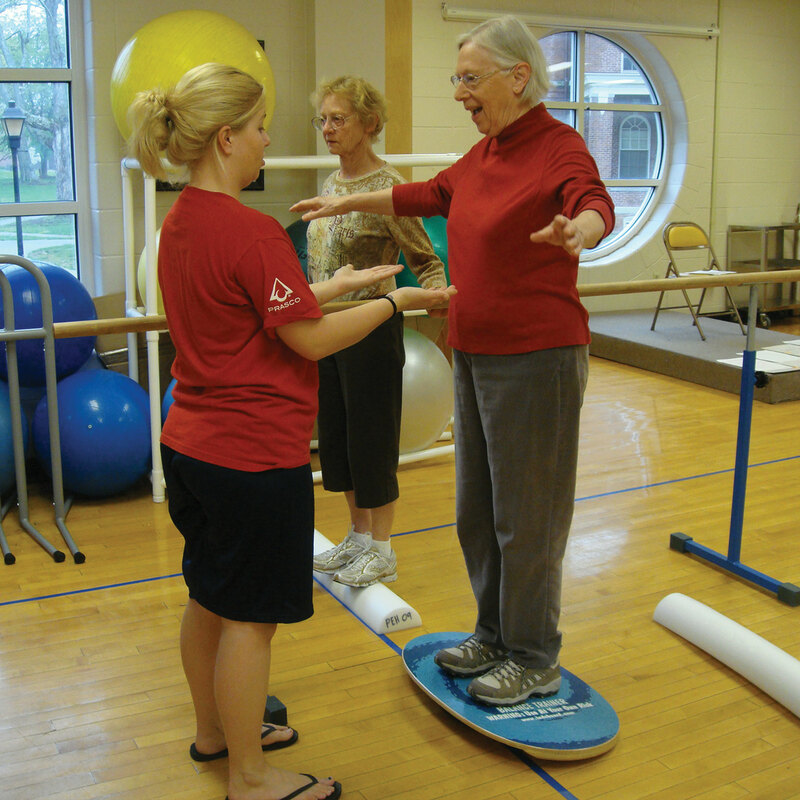 Indo Board fan Pat Lavine demonstrates a finger flip. The Mini Kicktail in the Rasta design is even popular with the Feline fans! Bulyáki László’s Kitty, Bodza finds the Kicktail a comfortable lounger. On one of Indo Board Man’s recent trips to California, he went to check the surf and found Claudia riding the Mini Kicktail on the famous Oceanside Strand.